The discussion around marijuana is everlasting. 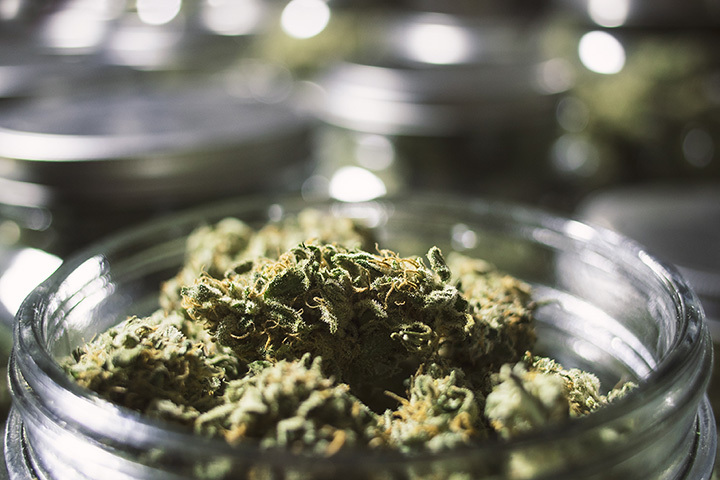 Recent research into its numerous health benefits has resulted in the opening of various medical dispensaries around the state of Connecticut. If typical medicine isn’t working out for you, medical marijuana may be worth some consideration. Here are the 10 best dispensaries in the state. The Caring Nature Dispensary aims to help relieve, comfort, and improve your quality of life. They currently stock concentrates, edibles, flower, vapes, and other accessories a patient would need in order to use medical marijuana. Patients even have the option of pre-ordering their treatment for pick-up, making it an easy in-and-out. Arrow Alternative Care takes the time needed to find the strain and form of medical marijuana that’s right for you, as it’s never one size fits all. They’re the largest dispensary in the state and offer a 10 percent veteran and senior citizen discount. Their online ordering system is easy to access (for all locations) and currently stocks flower, edibles, concentrates, vape pens, and more. Southern Connecticut Wellness is committed to providing their patients and caregivers with the best service possible. Their available products include capsules, concentrates, flower, edibles, oral solutions, oral sprays, oral syringes, topicals, and vape oils. There’s a daily list of products you can order from, and it can all be done online. REN Health has new patient medical marijuana evaluations to assess your needs, which can be discounted for patients on disability, veterans, and hospice patients. If you’re unsure of your course of action, REN has options to help determine if medical marijuana is right for you, how it can alleviate your symptoms, and how it can improve your health. They can also help you understand the differences between the many different cannabis strains. Prime Wellness has an online menu that offers cartridges, concentrates, edibles, extracts, flower, hybrid, indica, pre-rolls, sativa, and tinctures. Their dosing guidelines are available online, as no treatment works the same for everyone and medical marijuana is personalized. The dosage taken depends on both you and your condition, so be sure to ask all your questions. Bluepoint Wellness was founded by a pharmacist in 2013 on the principle and commitment to giving their patients the best possible care and treatment they could. They want to give you a better quality of life in a safe, responsible, professional environment. Online ordering is available for Bluepoint’s products, which include capsules/tables, concentrates, flower, edibles, vape cartridges/refills, and other formulations. Thames Valley Relief provides Eastern Connecticut with safe, legal access to medical marijuana. Veterans are offered a 10 percent discount and pre-ordering options are available. Their services include new patient orientation, consultations, and assistance with state license applications. Patients under 18 are accepted, though must have certain conditions to be treated. Patients over 18 are also accepted on a condition basis. The Healing Corner’s mission is to make sure their patients have an enjoyable yet comfortable experience with medical marijuana. They respect the laws of the state while maintaining an atmosphere of professionalism, compassion, security, and privacy. Their charitable outreach is designed to help eliminate the negative stigma around medical marijuana. Products like capsules, concentrates, flower, edibles, oral/sublinguals, topicals, vapes, and other accessories. Compassionate Care Center was the first medical marijuana facility to open in Connecticut. Their team is focused on the clinical and holistic improvement of every patient while providing safe and effective relief from their conditions. They have concentrates, edibles, flower, oils, tinctures, and vapes/cartridges available as treatment options. Arrow’s second location in Milford is born from the same foundation as the one in Hartford: providing care that’s right for you by helping you assess each strain and form to see what works best with your condition. You can purchase products specifically from the Milford or Hartford locations, so you won’t need to worry about things getting mixed up.